Things to do in Hamilton on a backpacker Budget. Built along the mighty Waikato River, Hamilton is the largest city in the Waikato region. Although there’s some great job opportunities in and around the city for backpackers, don’t spend your whole time here without checking out these free things to do in Hamilton. We love that many of the attractions are free in Hamilton, whether it is culturing yourself at the Waikato Museum or having a stroll in the iconic Hamilton Gardens. In all honesty, the Hamilton Gardens don’t sound like much, but once you enter this impressive area of award-winning themed gardens, you’ll see how you should never judge a book by its cover, especially when the pages are as beautiful as this. Any history buff will also have a field day in Hamilton, from historic trails, vintage shops and classic cars. Or, at the end of the day, when you just want to hang out with your backpacker buddies, check out the peaceful parks like the Lake Domain, or have a round of crazy golf. By the way, if you need somewhere cheap to stay, try these 5 Best Backpacker Hostels in Hamilton. Walk alongside the mighty Waikato River on the Riverside Walkway. The walkway stretches 11km and can be accessed at multiple points along the city centre. A mix of paving and boardwalks takes you through bush, parks and residential areas. The walkway is suitable for cycling too. 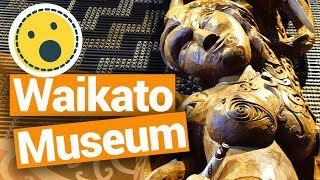 Immerse yourself in the Maori culture at the Waikato Museum. This free entry museum has a good mix of Maori history and contemporary Maori art, with ever changing temporary exhibitions. The permanent exhibition of the waka (canoe) is a must-see! You will need at least one hour to make the most of this museum. Often awarded the International Garden of the Year, the Hamilton Gardens are the pride of the city! Entry is free to four themed gardens that will transport you to another country with the collection of exotic plants. If there is one garden you are going to visit in New Zealand, then Hamilton Gardens is the one. Location: State Highway 1, Cobham Drive. To get there, walk on the Waikato River Walkway south until you reach the bridge just after Rendell Park. Cross the bridge and continue along the river until you reach the gardens. You can also take the 29 Bus to the gardens from the Hamilton Transport Centre. New Zealand’s one and only tea plantation is a mere 10 minutes from Hamilton city centre (if you drive). Taste the world’s purest oolong tea at the tea house or take a tour with tasting included. A tour of the plantation and tea tasting is pretty affordable (NZ$25 per person last time we checked). Note that Zealong is not open on Mondays. You can’t say there’s nowhere to drink on Victoria Street! If you have a few dollars to spend on having a beer and socialising with your travel buddies or the locals, then Victoria Street is a good destination. There’s plenty of eateries and clubs too. 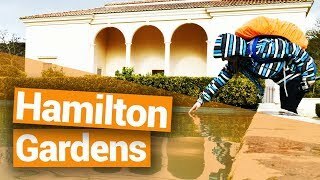 Hamilton is jam-packed with parks, from Garden Place in the city centre with water features and sculptures to Hamilton Lake Domain surrounded by a 3.8km walk. Meet up with your travelling crew or watch the world go by from your very own space in Hamilton’s parks. Location: Various locations around the city centre. Hamilton Lake Domain is along Ruakiwi and Lake Road, and you can get the 29 Bus there from the Hamilton Transport Centre. Ok, so this is only doable over four days every year, but the Balloons Over Waikato festival is an absolute must-see if you are in Hamilton in March. (Dates are usually around 16-20th of March). Watch as tens of creative hot air balloons fly over Hamilton and the Waikato region! 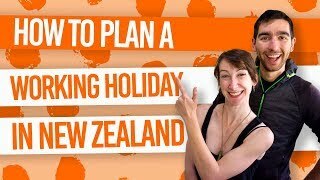 Check out more Top New Zealand Events in 2018. Have some simple fun with miniture golf/crazy golf in the Centre Place shopping mall. The themes of the Lilliputt golf course changes whenever the hell it wants so be in with a surprise as you challenge your backpacker mates. Ask at your hostel reception to get a good deal. Full price is usually around NZ$15 per person. 9. Go bargain shopping crazy! Need to pick up some cheap supplies while travelling? Hamilton is your place to go. The city centre is packed with op shops (second-hand shops). Although you’ll find op shops spread all over the city, you’ll get the greatest concentration on Liverpool Street, Ulster Street, River Road and Te Aroha Street in Hamilton Central. We also recommend The Base on Te Rapa Road. This huge shopping centre has most of the convenient stores you’ll need, as well as the Dress-Smart Outlet Shopping Centre. Among the op-shops in Hamilton are some vintage finds, such as ReVamp on Commerce Street, Viva Vintage in the Urlich Shopping Centre, and Maggie Pie on Te Aroha Street. There’s even the Classics Museum with classic cars and an American-style diner on Railside Place off State Highway 1. To wrap your day up into a nice vintage parcel, take a Historic Hamilton walking tour on your phone! Download the Historic Hamilton Walking Tours app and view what the street you are standing on used to look like. Pretty neat, if you are running out of things to do in Hamilton! 11. Grab a cheap activity deal on our deals page! That’s right, we often have some amazing deals on activities in Hamilton for under NZ$20! Take a look at our exclusive Hamilton deals over on the BackpackerGuide.NZ DEALS tab. … You’ll probably get a kick out of these!